Although Bruce Springsteen has been a global superstar for over 30 years, it s easy to forget that prior to the release of Born in the USA in 1984 he was nothing of the sort. And despite being tagged The future of rock n roll as early as 1975 (albeit by the man who would end up his long term manager), Springsteen was playing in bands eight years prior to that, when only the critics and the cognoscenti knew his name. This film traces the Bruce Springsteen story from those formative years, through his various early bands, onto the signing of his first deal and early Columbia albums, before finally achieving his first taste of wider recognition. 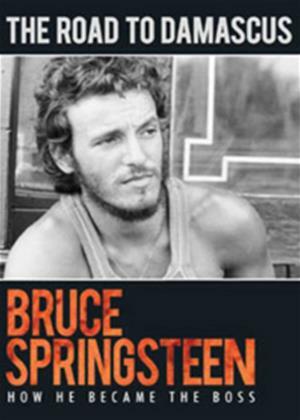 With the help of many close confidantes of Springsteen, rare archive footage and seldom seen photographs, plus contributions from those who have known and followed Bruce s career since day one and a host of other features, this is the most detailed, fascinating and downright entertaining document about this period of Bruce Springsteen s career yet to emerge.